The Mark Lanegan Band's first official release since 2012 is, unfortunately, a lackluster and unfocused affair. Mark Lanegan’s career arc is actually quite fascinating. After some minor success in the early ‘90s with Screaming Trees, an arguably B-level grunge act, Lanegan has since become a successful alternative rock journeyman who at times spawned some brilliant collaborations. His work with Queens of the Stone Age, particularly on 2003’s Songs for the Deaf, is some of the band’s best work to date, and his 2008 project with the Afghan Whigs’ Greg Dulli, the Gutter Twins, was brooding in all the right places. All the while, Lanegan has become quite the adept songwriter, as evidenced on his fairly infrequent solo albums. Obviously, most fans of early ‘90s alternative rock recognize Lanegan from his smokey barroom croon, but his solo material spans a wide spectrum of pop music. His desperate wails were haunting as they were infective on his subdued 1994 effort Whiskey for the Holy Ghost, while 2004’s Bubblegum saw a return to his grunge roots. His 2013 covers album, Imitations, was actually quite stunning in its earnestness. Lanegan stripped down Nancy Sinatra’s Bond theme, “You Only Live Twice”, to its bare essences, so it’s fitting that the very next track was a take on Frank Sinatra’s “Pretty Colors” that ventured into noir-like, detective flick territory. Earlier this summer, Lanegan announced an upcoming fall 2014 LP, Phantom Radio, the first record released under the Mark Lanegan Band moniker since 2012’s Blues Funeral. 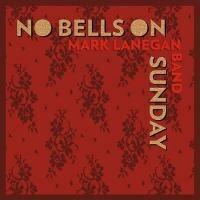 But in the meantime, the Mark Lanegan Band have perhaps hinted at what’s to come with a five-track release titled the No Bells on Sunday EP. So, it’s unfortunate that the EP is quite a lackluster affair that feels like a band testing the waters. It doesn’t offer the focus and hypnotic vibe of Lanegan’s previous solo outings as it genre hops from mostly electronic to rock and folk sounds without regard to pacing during its ostensibly lengthy 26-minute run time. For most of the EP, Lanegan trades the dusty, whiskey-laced atmospherics of his previous solo outings for songs guided by swirling synthesizers and drum machines. “Dry Iced” plods along as an opening track, clocking in at over six minutes in length. In fact, the club-thumping beat that guides the track doesn’t even drop in until slightly before the 1:30 mark. It must be said that Lanegan’s voice sounds as gravelly as ever, but hearing it on top of electronic-tinged, nearly disco instrumentation is peculiar. Title track “No Bells on Sunday” could fit right in on the Smashing Pumpkins’ recent Adore reissue with its airy keyboard and synth swells. Sure, it offers the typical gloomy and reflective Lanegan tropes, but it’s not memorable or even interesting. More of the same turns up on “Smokestack Magic”, but its saving grace is Lanegan channeling his inner Tom Waits and even Layne Staley for the EP’s most dynamic vocal performance. The No Bells on Sunday EP isn’t a total wash, however. It’s obvious why “Sad Lover” was chosen as the first single. It’s an uptempo rocker powered by processed, wailing guitars underneath a bone-tight snare beat. Lanegan paints his typical dreary picture as he bellows, “I hate when that red sun goes down / And birds are only shadows on the pavement / And they’re breaking up my heart, I can’t evade it / I hate when that red sun goes down.” The song is an obvious bone-throw to fans of Lanegan’s edgier rock leanings, but, in context, it at least gives the EP a semblance of a pulse. On the flipside, “Jonas Pap", the EP’s token acoustic tune, is straightforward in approach, and it works due to its campfire folk vibe that recalls Lanegan’s dark but beautiful 2001 LP, Field Songs. While there are some quality moments on the No Bells on Sunday EP, they’re few and far between. It’s surprising to find Lanegan as unfocused and scatterbrained as he is here, seemingly bogged down in experimentation that is too often dull and tedious. Here’s hoping that the No Bells on Sunday EP is simply a document of the moment and not an indication of what’s to come on Phantom Radio.